Word of appreciation from board president Curvin George of STINAPA Bonaire to NME coordinator Desiree Croes , juniors and volunteers. Speech Prins Bernard Cultuur Fonds AWARD 2017 by NME coordinator: “Thank you everybody for your presence tonight. 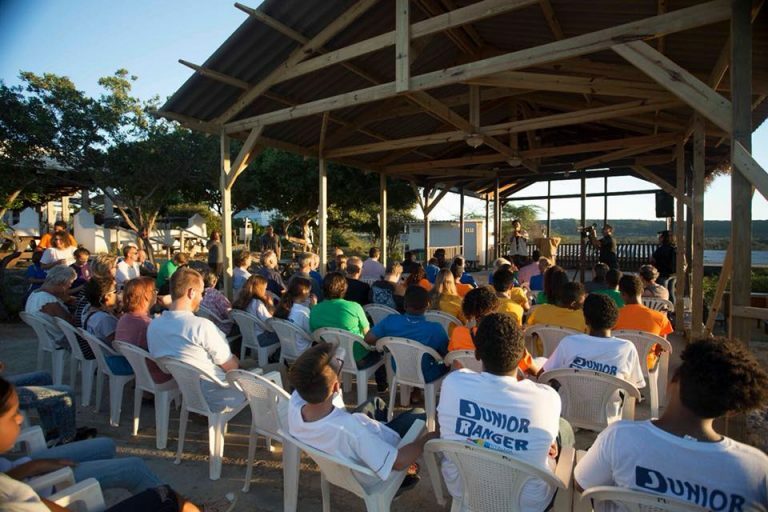 I have a little story to tell you – about how STINAPA started a program dedicated to the youth on Bonaire. This program was an idea of former director Elsmarie Beukenboom. When she hired new NME in 2009 her opinion was; ‘we have to make the junior ranger program happen.’ There was a pilot program in 2006-’07, So we looked it up and study it and I personally felt very inspired by my predecessors. Because the junior ranger program was a pilot project the content and progression of the program had a limited prospect. This was the challenge; bring CONTINUITY. The Junior Ranger program had as its mission to educate teenagers about the national marine park and the Washington and Slagbaai park. Teach about the RULES and LAWS. With rules and laws we also need to educate on WHY the rules and laws exist. That is WHY it became very crucial in the next level to structure the Junior Ranger program. Teenagers of the first year needed certain prospect in the program. For a whole year they received information and education on nature and environment, for what? what’s next? At this point the idea came to create an upgrading hierarchic organogram. This would at least accommodate groups of youth that received information for a long time; if we manage to upgrade the teenagers to a ‘next level’. That would be the solution. So here’s why we have level; Aspirant, Kadet, Trooper, Deputy, Captain and Commander. Always selfy time with volunteer leader Lisa Domacasse — met Guillaume Janga, Marein Eitze, Senna Bougie, Alyssa Wijnand, Daan Baptiste, Alexis Crestian, Sharlino Phelidio, Rodion Martes en Jarno Ottens. Upgrading became part of the goal and the first volunteer joined the program in late 2010. 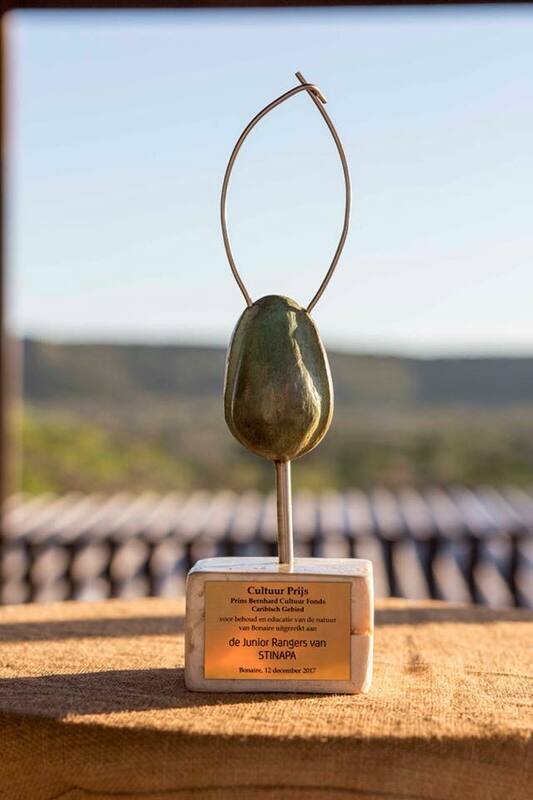 We clearly remember this first badge of juniors, most came from Jong Bonaire, one of them Luigi Eybrecht, today a BNMP ranger, awarded in the name of Dr. Jane Goodall as Hope and Inspiration youth ranger. Other juniors of the first group are now adults and work in various section of the community with a extended background knowledge on nature and environment, including more dive skills and experience than average young adult (diver) their age. Later 2011 more and more volunteers joined the effort to support STINAPA vision on nature and environmental education for the youth on Bonaire. To help the youth understand the importance and reality of their surroundings, about habitats, ecosystems and how everything on this planet is connected each other. The program grew with every single volunteer that joined. Each of them special to the program bringing in the ingredients and chemistry to make the juniors progress in a structure that offer DIVE course to upgrade and of course land based activities if the junior do not want to or is unable to dive. Projects like bee keeping, greenhouse, skill snorkel training, fish id and also hiking or group volunteer work are part of the life of a junior ranger and are supported by the volunteers and coordinated by NME STINAPA. The Junior Ranger program function like an orchestra, fine-tuned; the real example on how a group of people come together and bond to preform magic, in this case to benefit the younger ones and mother nature. The hurdle to keep the juniors in the program for extensive period of time, from 13 to 21 years of age, until they leave for study or work, was no longer a problem. After the years served they can also become volunteer leader to the program that was part of their adolescent lives. This special group is called JR4LIFE. STINAPA also give recommendation letters to the all participants when needed for their jobs, high school or college, this is to support them in each and every way we can. Every time a JR4LIFE member is on island or free from work he/she will join and do volunteer work. We have one right now, finishing her internship at STINAPA, studying applied biology. We believe and we see the impact that junior ranger program have in the lives of the teenager and their parents. The program is strict and driven with discipline but we would not function otherwise. Like this we became a part of the family, helping with guidance. “It takes a village to raise a child”. The junior ranger program is community based and offered through STINAPA, we feel honored to coordinate a great group of people, experts & professionals, such as the Junior Ranger volunteers. People who give hours each week to pass knowledge and to be a guidance/role model for young people. We from STINAPA are more than proud of our youth and their annual achievements, that is why we celebrate their graduation ceremony each year. 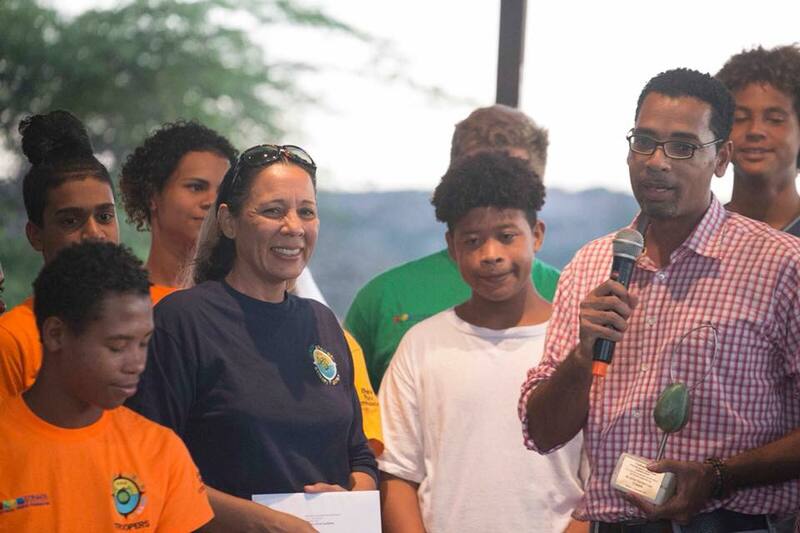 Lately the junior ranger program became a ‘trademark’ for Bonaire to participate in the Gulf Caribbean area at conservation conferences and workshops, with invitations from large organizations like the NOAA and GCFI, for the juniors to speak out about the work they are doing and to bring inspiration to marine park managers in the Caribbean and the world. 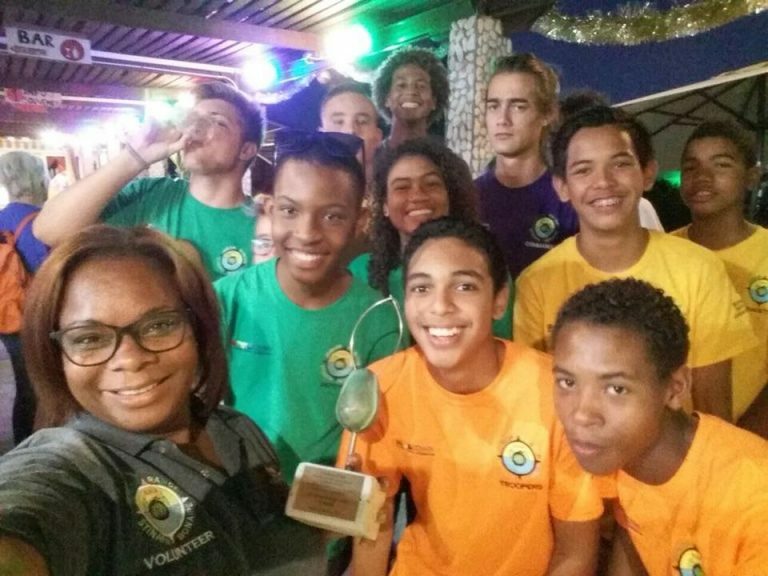 The junior ranger program became the goal for many islands in the Caribbean, because in the future it will mean exchange between youth talking and debating about the pressing issues on nature and the environment in the region. That is the future we want to help shape. Let me extend a huge gratitude combined with congratulations to the juniors themselves who after school during midweek, bike, walk or are driven by parents to meeting place for a lecture or presentation. Also for waking up every Saturday morning and prepare for your scheduled weekly volunteer work or dive course. 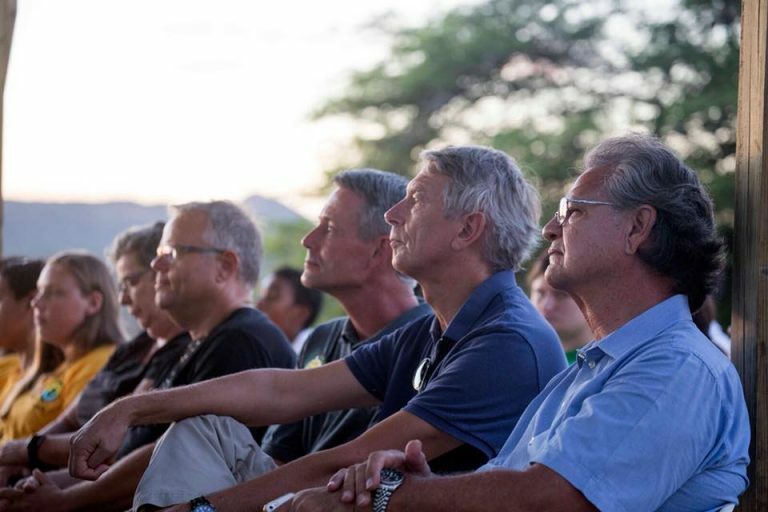 You are the future and you have the right to rock this planet – so go ahead and do it – be the best nature ambassador you can be – for Bonaire and the world”.